It's time for another installment of my attempt to bake my way through Peter Reinhart’s wonderful book, The Bread Baker's Apprentice: Mastering the Art of Extraordinary Bread. 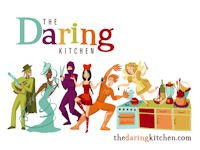 The twelfth recipe in the Bread Baker's Apprentice Challenge is English Muffins. 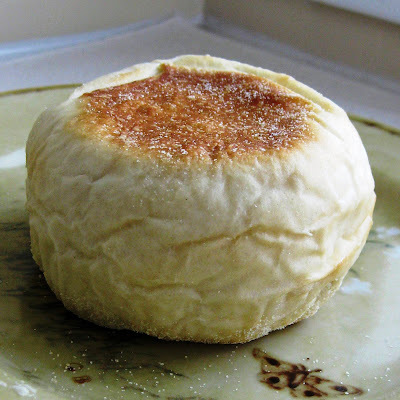 These English Muffins were a bit of an ordeal to make but worth every second of effort. 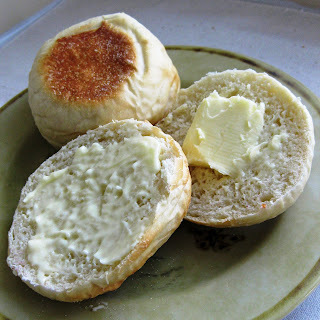 If you've never had a fresh English Muffin, topped with butter, you haven't lived. Enjoy! I love English muffins. I don't eat them enough. You did a fantastic job of them! Look at the height you got on these English muffins! Gorgeous! These look amazing! I have always wanted to try to English muffins but never set aside the time. Gorgeous! Makes me want to make them again. Beautiful! They are a little bit of work, but they taste soooo much better than store bought. Wow, those look fantastic, never seen muffins risen that high before!